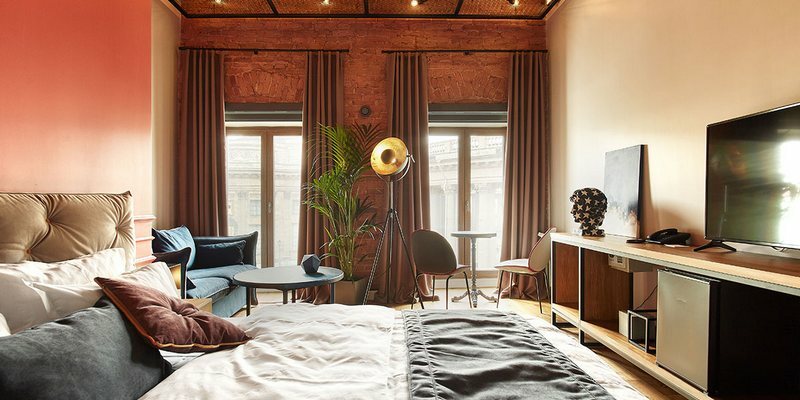 Conceptual Wynwood Hotel St.Petersburg occupies a four-floor historic building near the Kazan Cathedral and Nevsky Prospect. Designed in Loft-style by local architects, St.Petersburg's Wynwood Hotel shares the spirit of Miami's Wynwood, known as the most happening and creative district. 38 rooms of the hotel, a lobby, and public areas are decorated with graffiti, wood, metal, concrete and lots of flowers. The restaurant offers exclusive menu items prepared with 100% organic ingredients. The roof terrace with a fantastic view on the city center will open soon. Fremad Russia offers exclusive accommodation rates in the new hotel as well as Saint Petersburg tours and excursions dedicated to the 21st century art.